We’re excited to announce Texture On The Runway is coming back September 7th in NYC, powered by Sally Beauty, and you have a chance to come! Texture on the Runway will be kicking off New York Fashion Week with a celebration of texture in a space where we have historically been underrepresented. 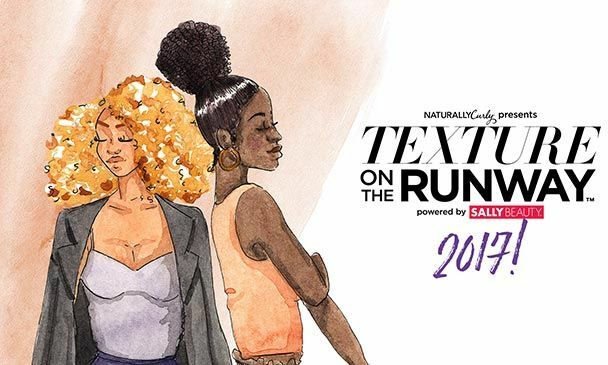 With our annual event, we’ve “helped change the conversation about fashion and diversity,” says NaturallyCurly Co-Founder Michelle Breyer. Open to the U.S. Entries to the giveaway accepted from 07/17 through 07/31 at 11:59pm CST. The two (2) winners will be chosen at random and announced on 08/02.